We are very happy to have been able to present the installation at the SU Sustainability Showcase. The Disaster Solutions (DS) Institute aims to provide the Syracuse Community with artistic projects and presentations that illuminate critical local environmental issues. Onondaga Lake is the focus of the group’s first project; it became a Superfund site in 1994 due to detrimental effects of industrial and municipal waste disposal over the last century. The future of the lake has become both a scientific and political issue. The creative specialists of the DS Institute bring a cultural perspective to the table. This project distills deep research (including interviews with experts) in order to establish facts, elucidate controversies, point out missing information, and illuminate proposed solutions. Through sculpture, poster exhibitions, lectures, and video, the DS Institute provides a variety of information and interpretations of the history, current dynamic, and the planned future of the lake’s ecosystem. 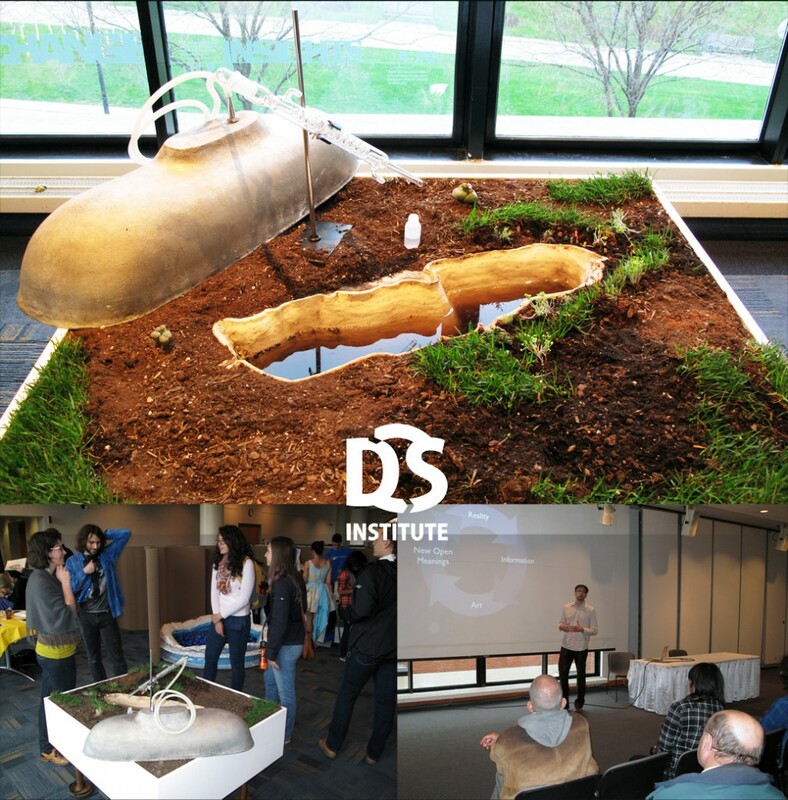 The DS Institute produced a custom-built sculptural model that it uses as a pedagogical tool during lectures and videos. This machine, which is based on a scale model of Onondaga Lake, is fully equipped to distill lake water and is used to demonstrate a spectrum of remediation solutions from the realistic to the Utopian. The Institute’s educational video employs documentary-style presentations of interviews and lectures to explore a range of outcomes. The DS Institute aims to educate the public about the history of the lake and to show that the next chapter needs help being written. In doing so, they hope to inspire critical dialogue about ethical consumption, civic responsibility and environmental care. Next Next post: Our Mobile Sauna Project’s Got Wheels!